Change An Ace Into Four Kings. Jaws Drop. Minds Blown. "You have a winner. It is simple and very clean. I like it very much. The audience reactions say it all." "Anomaly is a versatile gimmick with multiple, strong routines. 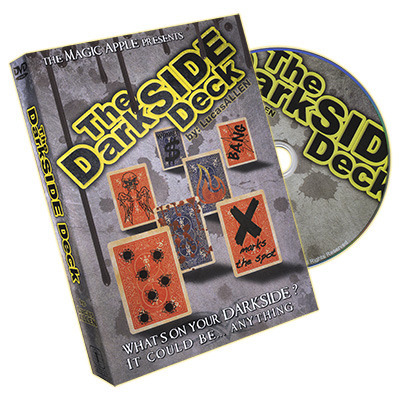 Every card magician should add this to their toolbox." "Michael fooled me with this." "Anomaly is an incredible card transposition for the real world"
With ease transpose one ace and four kings in your spectator's hands and END CLEAN (no deck or palming.) Audience tested for 4 years in Michael's professional repertoire. He gets gasps of amazement from his audiences and you will too! Wish you had a super visual and practical card gaff/gimmick so devious spectators are clueless inches away? Sure, you've seen a lot of cool looking card gaffs on video, then it arrives and looks nothing like in the trailer. This is different! What you see is what you will perform. That is why we shot the trailer in broad daylight and up close. - Handlings for Beginner to Pro. - Devious Gaff/Gimmick, spectators are clueless inches away! The gaff is strong as any playing card and gimmick can last hundreds of performances with a little care. One for Four: One Ace and four kings transpose right in your spectator's hands! No King Left: Aces and kings change places and a kicker where the kings turn blank in your spectator's hands! Chosen: A chosen card is revealed using the kings which morph into aces, then one ace into the selection! 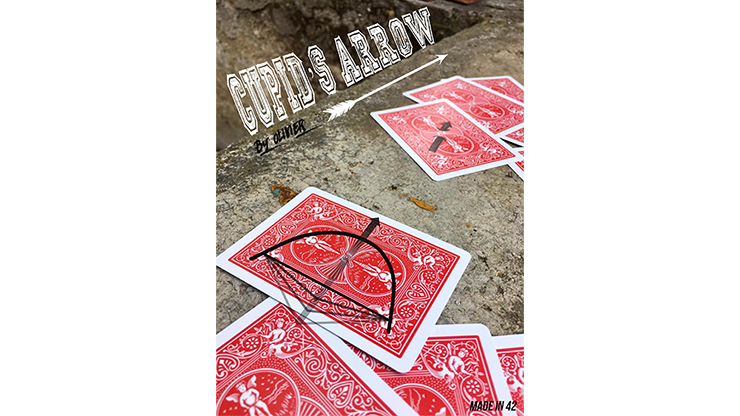 Signed: The kings morph into aces, then one ace transposes with a signed card leaving the last ace where the signed card was in full view. Great follow up to an Ambitious Card routine! Twist: Vernon's classic "Twisting The Aces" with simple moves and kicker finale where kings turn into aces! Bonus: Radical Aces, using Anomaly with the "Radical Change" to morph two cards at once. Add Your Own: Regular kings (2 king of spades,) aces, and card box. "Anomaly is an incredible card transposition for the real world. It's one thing to have two cards transpose, but Michael ups the ante with a Four for One transposition. Four Kings change places with a single Ace under stringent conditions. Not only that, but you get four additional routines using the same gaffs. Everything provided is top quality and the 90 minute instructional video is terrific. 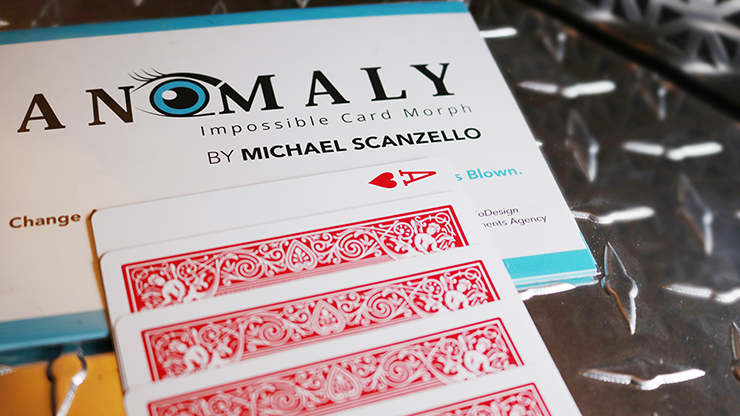 If you add one new card trick to your working repertoire this year, you can't go wrong with Anomaly!"